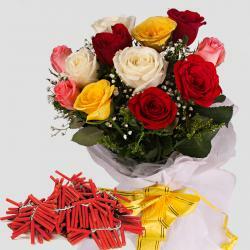 Product Consist : Glass Vase of 10 Colorful Roses with Assorted Fire crackers (Worth Rs.300/-) (Note: Types of Fire Cracker are depends upon their availability no specific choice). 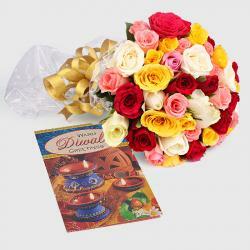 For Diwali the most unique gift will definitely be that which has the capacity to excite and delight your dear ones the most like this hamper. We have put together a bunch of super awesome bright and beautiful Roses. 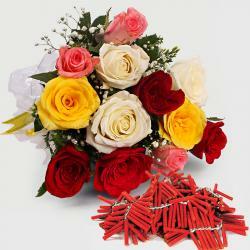 These flowers will make the day of your loved ones brighter and make their faces glow with smiles. 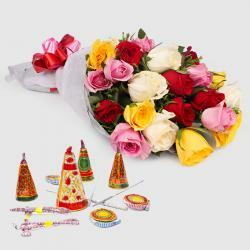 Along with the Glass vase of colorful roses we have also put crackers which are most desirable in Diwali. Send this to your relatives or friends and bag appreciation. 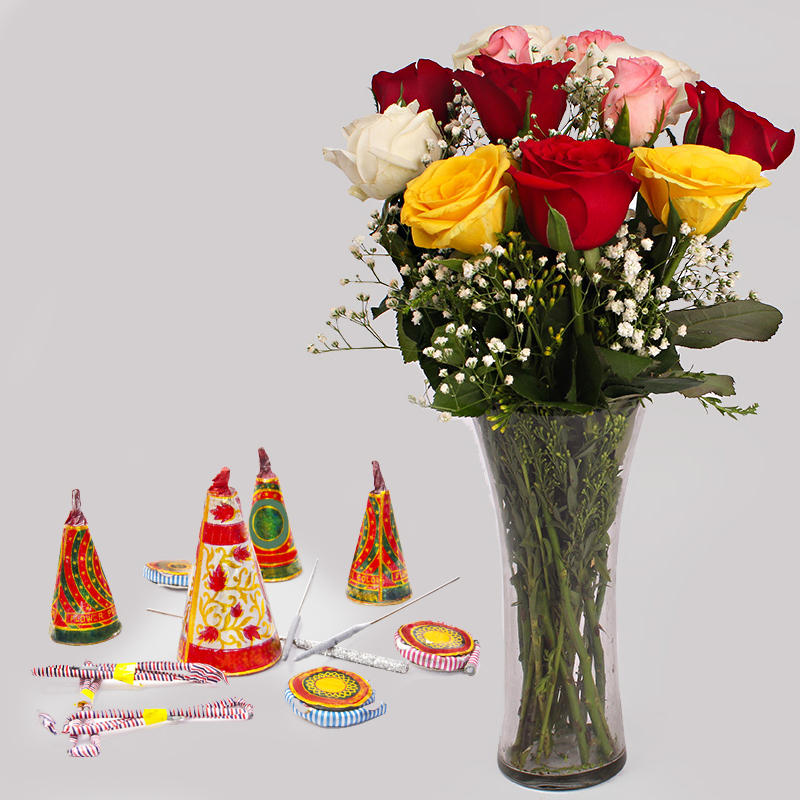 Product Consist : Glass Vase of 10 Colorful Roses with Assorted Fire crackers (Worth Rs.300/-) (Note: Types of Fire Cracker are depends upon their availability no specific choice).